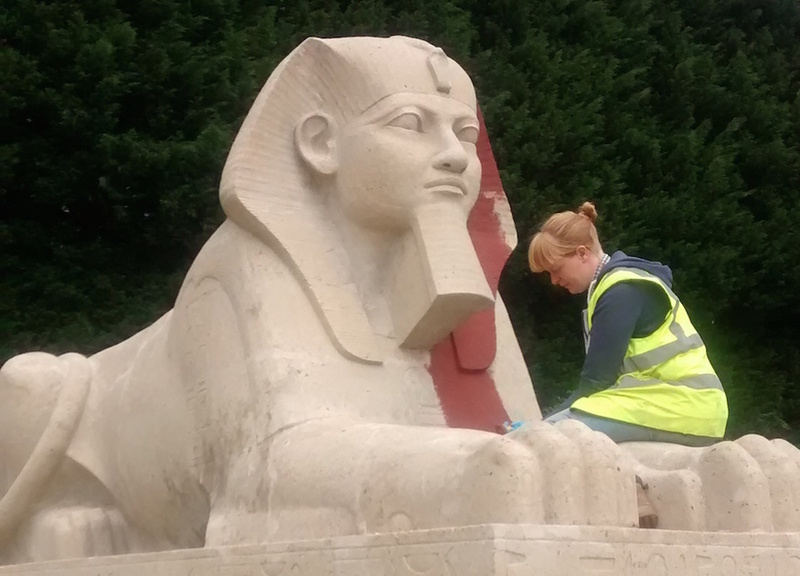 The six Victorian sphinx statues in Crystal Palace Park are being repainted this summer. 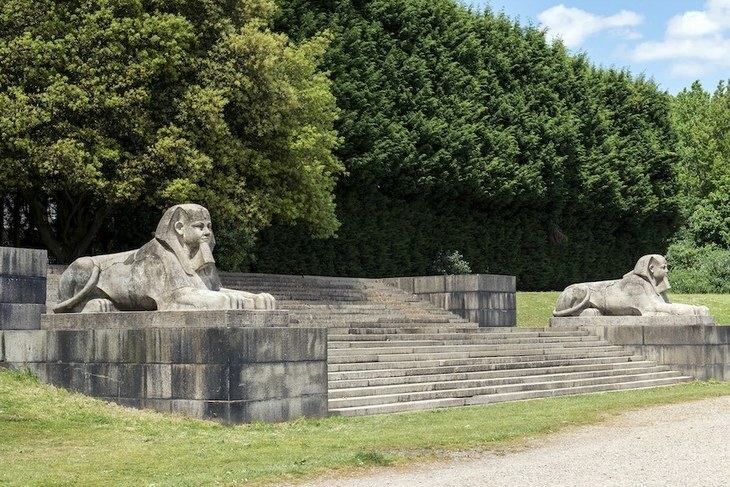 The Grade II-listed sphinxes* were recently listed on Historic England's Heritage 'At Risk' register. 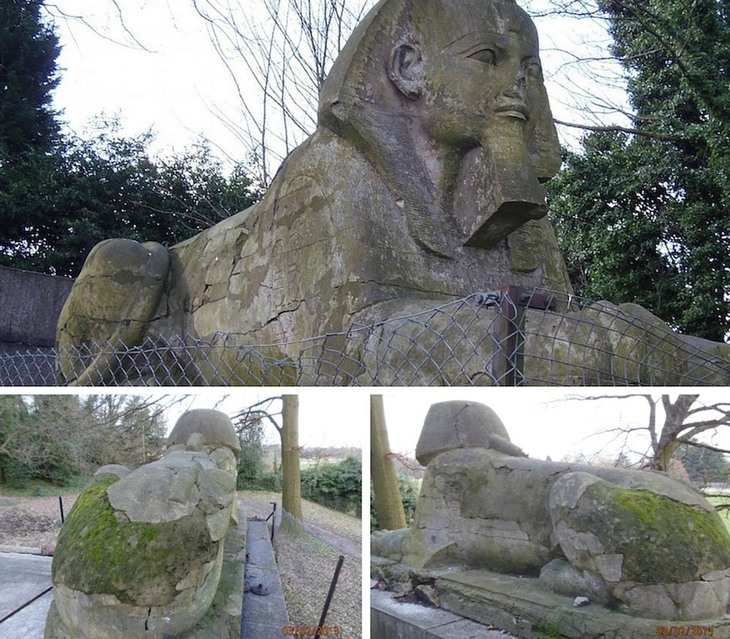 Two years ago, local people identified the conservation of the sphinxes and the dilapidated south terrace steps of Crystal Palace Park as a priority for park funds. The repairs are part of a £2.4m programme of improvements, jointly funded by the Mayor of London, Historic England and Bromley Council, the local authority that manages the park. The sphinxes are based on an original red granite Egyptian sphinx in the Louvre, Paris. The mythical beasts (sphinxes from mythology feature a lion's body with a woman's head, traditionally with wings) were produced to stand on the grand terraces of the Crystal Palace when the famous structure moved from Hyde Park to Sydenham in 1852. The sphinxes in the park, before the restoration work. This restoration project will replace missing paws and tails on the statues, as well as restoring the original rendered concrete finish. The paint will provide the sphinxes with an important protective coat. And the choice of colour? 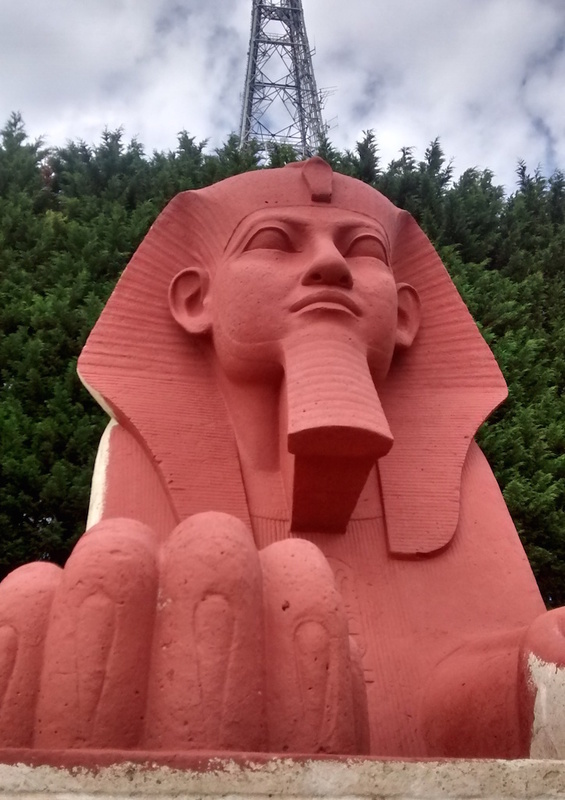 The Victorian terracotta red has been identified as the sphinxes' original mid-19th century colouring. 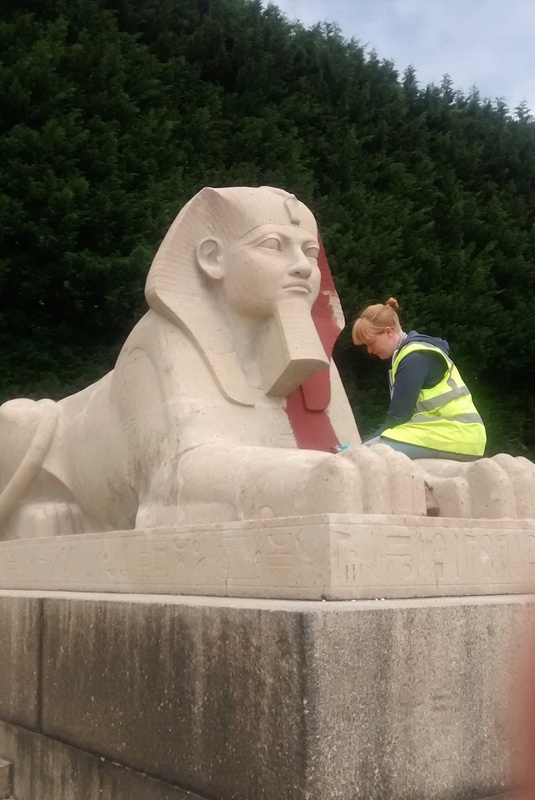 The red colour has been carefully matched after a thorough analysis of original paint scrapings found on the sphinxes during restoration. The work on these magnificent beasts is expected to be completed by September 2016. The sphinx project is part of a bigger plan to restore more of the Grade II* registered landscape of Crystal Palace Park, including the Grade I-listed Crystal Palace dinosaurs. Read more about the project on the excellent insidecroydon site. All photos are used courtesy of Historic England. * Yes, we know: the proper plural should be sphinges.